As users create and join more topics, we’re aware that there is a greater need for organizational tools to manage these topics efficiently. 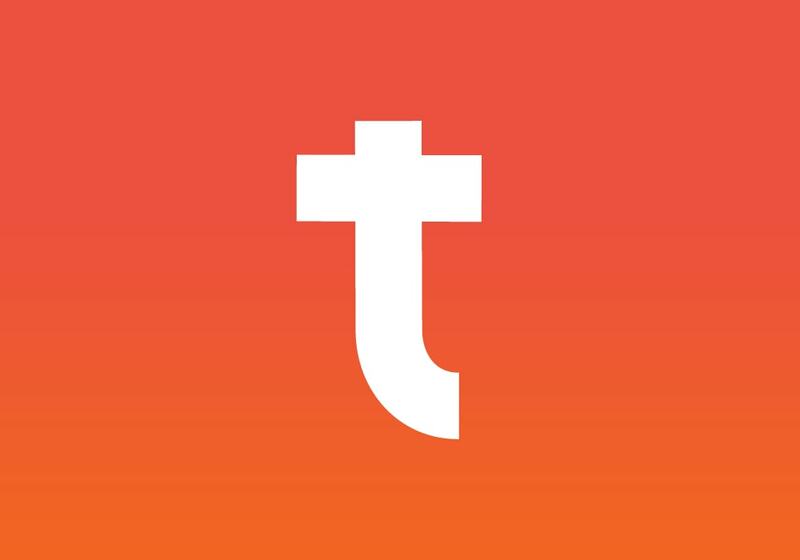 To this end, we are introducing a few new features for topic management. We want to make organizing, finding, and using your topics as easy as possible. So we’ve implemented a few new tools to help you. At the top of your topic list, you’ll see an icon labeled “All.” This where you can search through every topic you’re currently a member of. You can then sort the topics you’re a part of into topic groups. If you’re not sure how to group your topics, try organizing them by subject, team, or priority. Simply move topics into topic groups, and you can then swiftly browse new messages in a more organized fashion. When you join a topic, it will appear here for 7 days. You can pin it, move it to a topic group, or do nothing. By default, topics are organized by activity in descending order with the last active topic sitting at the top. 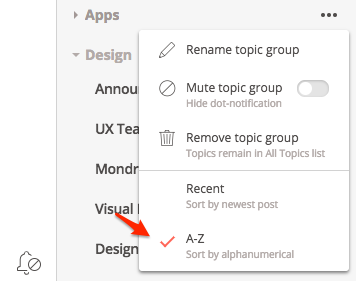 But some people prefer keeping topics in a specific order, which is why we’re introducing the option to sort the topics in a topic group alphabetically. You may find that you have a few topics you like being part of but don’t want to be notified about. 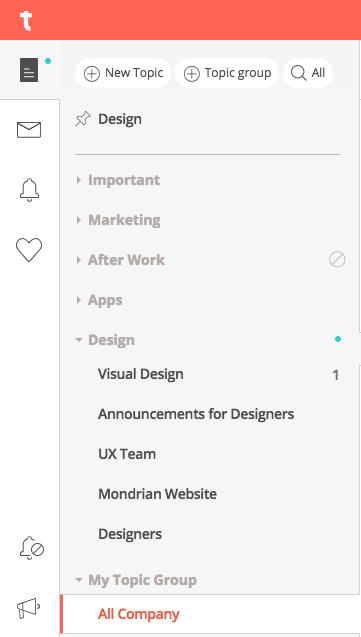 Now you can mute topics groups and you’ll no longer receive notifications on the topics within. For your most important topics, we’ve introduced a pinning feature. Pinned topics will always appear at the top of your topics list. We realize you’re not always chatting from your desktop, so these features are also available on mobile. We hope you enjoy all these new ways of managing your topics! Stay tuned as we continue to improve the features you love.